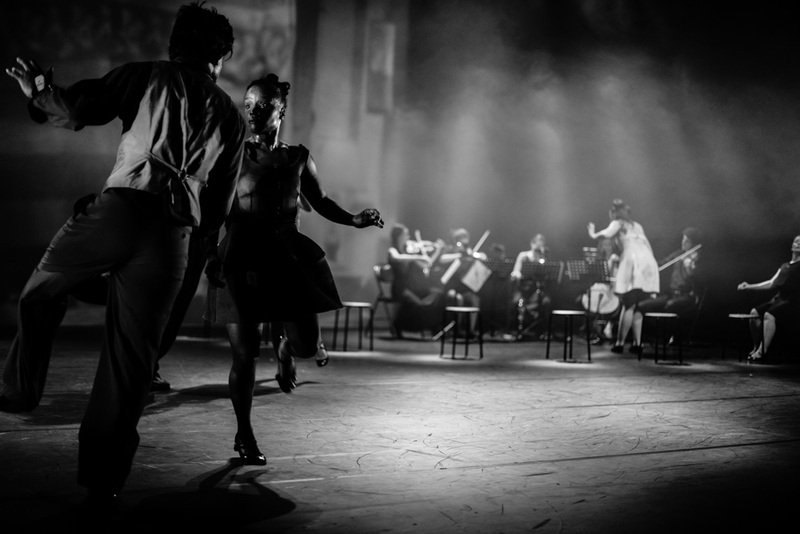 In bal.exe, eight popping specialists and five classical musicians perform on stage. 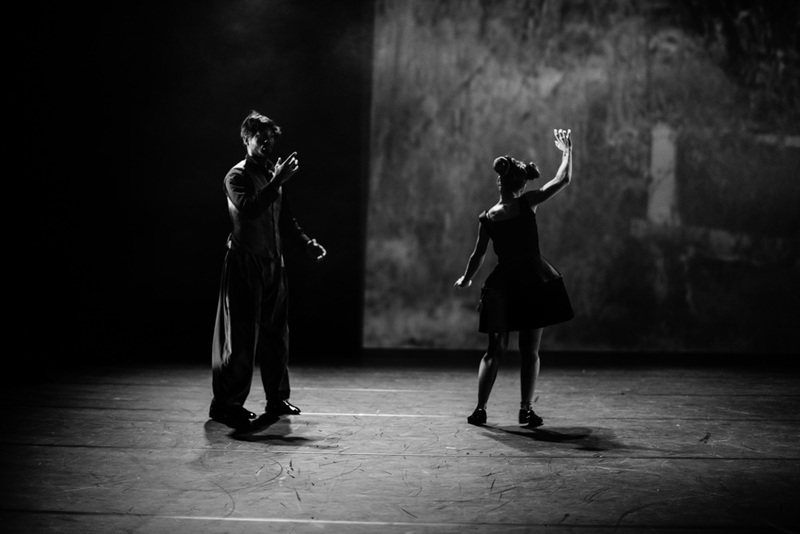 The choreographer takes the romantic and melancholic universe of chamber music with pieces by Brahms, Connesson, Halvorsen and Biber, and transposes it into a robotic and almost informatic-style choreographic score, where logic comes face-to-face with randomness. 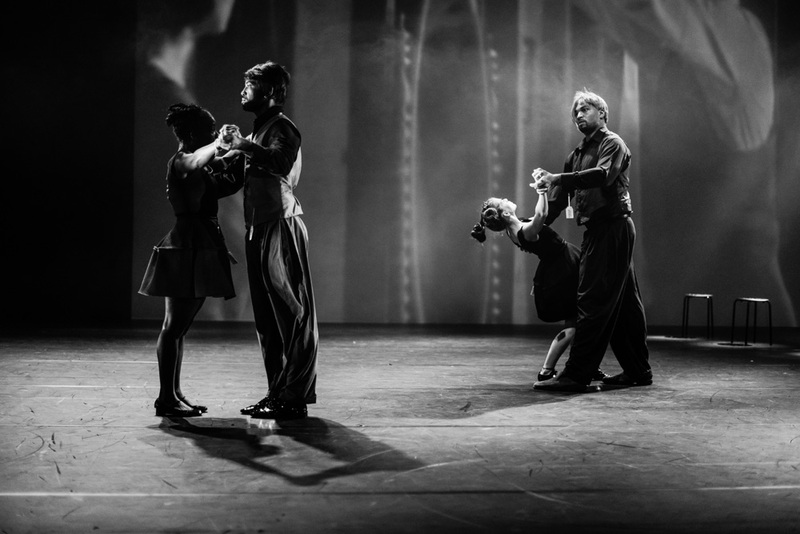 Robotic dancers, dressed like sophisticated, off-beat, retro style models, act as if bewitched by the music, reaching out to interact with each other in a series of jerky, restrained and mechanical gestures. They sketch out a few dance steps in a new “mechanical” hip-hop style dance performed in pairs that was created especially for the show, called looping pop. The driving force powering their bodies programmed to dance functions randomly. Every choice they make seems only to steer them towards an increasingly deterministic and ordered system. Engulfed by a universe where powerful emotions soar high above the music from which they emerge, the solitary bodies try desperately to gain control in their relationship with the other, causing the disruptive actions in this somnambulistic ball. Rising above the robotic tasks seemingly imposed randomly upon them, the dancers display a totally disconnected side to their character, moving around in a festive world of faceted spheres, wigs, carrots and musicians reminiscent of a Tex Avery cartoon… bal.exe is a computer program in the form of a dance made for two executed by mal-adjusted robots, a program that unexpectedly fails. 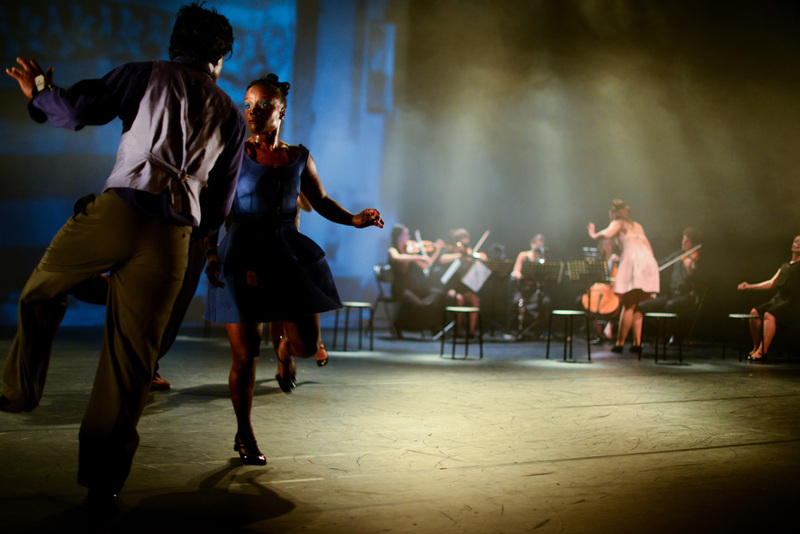 Looping pop: this new dance uses the concepts, rhythms and poses seen in certain types of ballroom dances, such as the tango, the waltz or the bachata, and set them against the mechanical, angular and robotic gestures of popping. Looping pop is a dance form that places the dancers in contact with an interplay of mechanisms. It combines the technical excellence and exuberance of hip-hop dance with the notions of contact and oneness with a partner in ballroom type dancing. While the individualistic and assured energy of hip hop dance is preserved, looping pop also allows the dancers to maintain a physical contact and exchange instructions with their partner. A contact that reflects our lifestyle and behaviour. As individualistic egocentrics, we are extremely dependent on the slightest outside event and react quickly to all information. We are also capable of inventing endless variations on the repetitive processes comprising our daily lives. Production: Compagnie par Terre; Orchestre Régional de Basse-Normandie. Project initiated by l’Orchestre Régional de Basse-Normandie. With the support of: l’aide à la production d’Arcadi; le Conseil général du Val-de-Marne; le Département de la Seine-Saint-Denis.  Coproduction: Le Théâtre de Rungis; Parc de la Villette; Centre Chorégraphique National de Caen / Basse-Normandie, Direction Héla Fattoumi & Éric Lamoureux, dans le cadre de l’accueil studio / Ministère de la Culture et de la Communication; Théâtre Louis Aragon, Scène conventionnée pour la danse de Tremblay-en-France; Le Rive Gauche, Scène conventionnée pour la danse à Saint-Etienne-du-Rouvray; CCN de Créteil et du Val-de-Marne / Cie Käfig – dans le cadre de l’accueil studio; Le Prisme – Centre de développement artistique de Saint-Quentin-en-Yvelines. 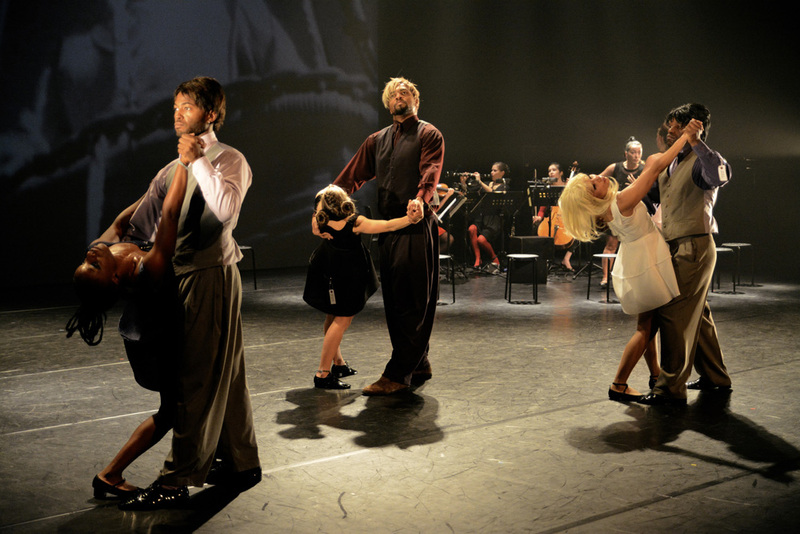 With the partnership of: MOOV’N AKTION; La ménagerie de verre; Le CRI de danse de Villejuif; Les Laboratoires d’Aubervilliers; Théâtre Paul Eluard de Choisy-le-Roi; Centre national de la danse – mise à disposition de studio. Thanks: Repetto. bal.exe has benefitted from the support of Arcadi Ile-de-France with l’aide à la diffusion. 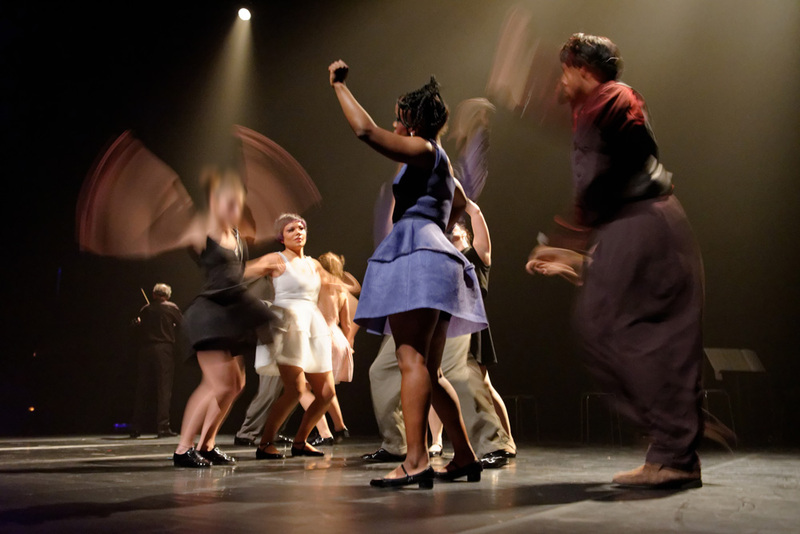 The par Terre Dance Company is funded by l’Aide pluriannuelle du Ministère de la Culture et de la Communication / DRAC Ile-de-France as “Compagnie à Rayonnement National et International”, la Région Ile-de-France for “Permanence Artistique et Culturelle” and l’Aide au fonctionnement du Département du Val-de-Marne. Anne Nguyen was awarded the 2013 SACD Nouveau Talent Choréographie prize and appointed Chevalier de l’Ordre des Arts et des Lettres in 2015. She has been an associated artist to Chaillot – Théâtre national de la Danse from 2015 to 2018.